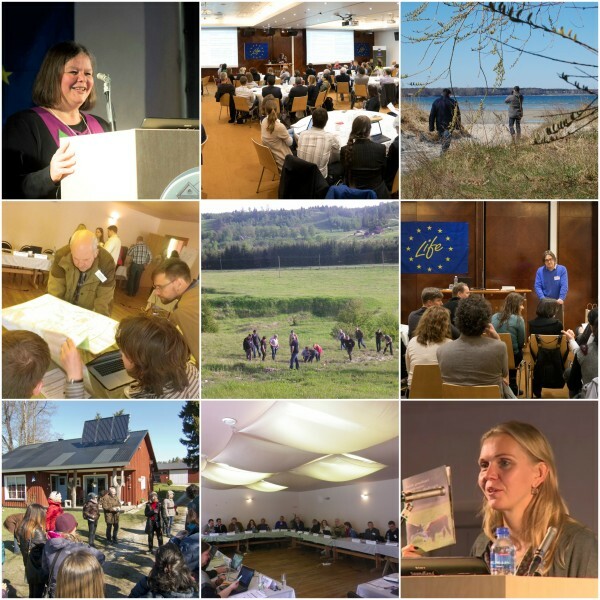 By keeping a well-started tradition to organize acknowledged, interesting and wholesome international events in spring, the LIFE Viva Grass project invites to the seminar “Integrating ecosystem service concept into spatial planning – for sustainable land-use in grasslands and beyond”, to be held in Sigulda, Latvia, May 16-18, 2018.
stakeholder engagement in building knowledge on ecosystem service supply and prioritization of land-use alternatives. The seminar will include study visit to the LIFE Viva Grass project demo areas. You will have an opportunity to see the results of landscape planning and grassland restoration in Cēsis municipality and grasslands restoration & sustainable management in farm “Šovites” in Vecpiebalga municipality. Also, a walking tour to grasslands will take place in the Gauja river valley near Sigulda. Please find preliminary agenda here, the online registration is open – please click here. Think tank exchange seminar “Enhancing Economic viability of Grasslands by Green Farming in Europe”, Kandava, 27.-29.05.2015, Kandava, Latvia – please click here.